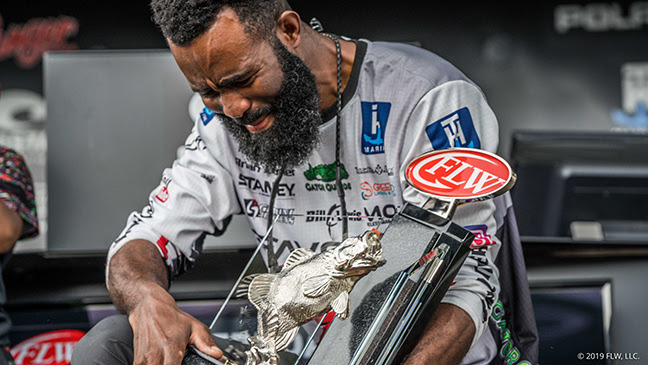 Ladson, SC (March 18, 2019) – A true testament to the power of perseverance, Z-Man pro Brian “B-Lat” Latimer won his first-ever FLW Tour contest on March 10 at Lake Seminole, Florida, permanently placing several challenging seasons in the rear-view mirror. Those who witnessed B-Lat’s “winning moment” saw what unedited, authentic excitement for fishing really looks like. On stage with his $100,000 check, Latimer’s passion for bassin’ shined through. B-Lat was right, though. It wasn’t easy. 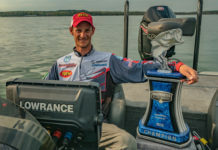 Even for the fun-loving fourth year FLW pro, bites during the event proved tricky at times, running the gamut from cranking a current seam on day one to sight fishing with finesse worms during a portion of day two. But throughout the Friday to Sunday bass-athon, one winning pattern prevailed: flippin’ a Texas-rigged Z-Man Palmetto BugZ™ on a ½-ounce tungsten weight and 50-pound Seaguar Flippin Braid. 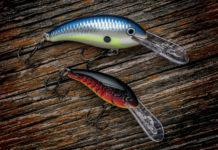 One key, according to Latimer, involved the slow rate of fall of his Texas-rigged bait. “I threw another, more traditional beaver-style flipping bait that plunked right through the strike zone,” he observed. “But the Palmetto BugZ’s buoyant ElaZtech material gave the bait the perfect, slow rate of fall. The bigger pre-spawn females were hovering off bottom, right in the grass. You needed a bait that sort of hung there in their faces a little. 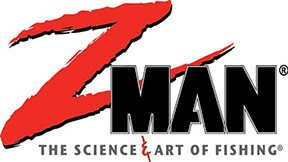 Calling out ElaZtech’s renowned durability, Latimer admitted he used “a mere handful of Palmetto BugZ baits through practice and all four days of competition. In a typical tournament like this, if I wasn’t throwing ElaZtech, I would have torn through 40 to 50 baits. 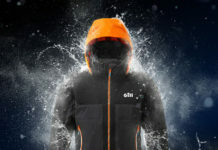 But the bait’s toughness reduced that number to no more than a dozen. Not having to dig into bait packs or re-rig was a huge time saver. Near the end of day four, a 7-pounder wolfed Latimer’s Palmetto BugZ—the big prespawn hawg he needed to seal the deal: 4 days, 20 bass, 80-pounds 15-ounces. $100k richer.